The 10.5cm Leichte Feldhaubitze 16 (FH16) (light field howitzer) was introduced into the German Army in 1916. German divisions each had three batteries of four le FH 16 each until the end of World War I. After the war the guns were kept in service by the small army Germany was allowed to maintain. 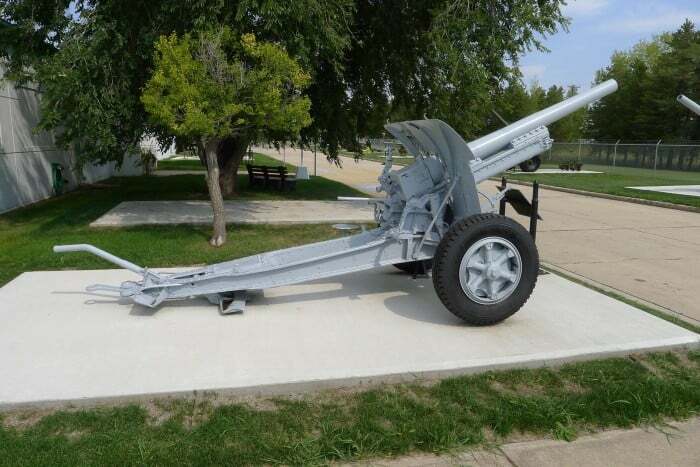 The guns were modernized for towing by vehicles with the addition of rubber pneumatic tires. The guns were obsolete by 1939, but were used in reserve and training units until 1945. This example has the adaptors for rubber tires, but the shield is cut for the much larger wagon wheels. The seats that were originally on the front were removed as part of the conversion for vehicle towing.